Dear Lord, we thank You for MLA Judy Klassen. We ask, Lord, that You would bless her in every aspect of her life. We ask, Lord, that You would place a hedge of protection around her and that her heart would beat for Yours. We ask Lord that you would lead and guide her in all Your ways and You would give her clear and divine direction in the path that she should take to lead her constituency. In Jesus name we pray, Amen……. 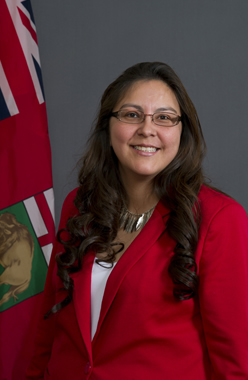 Judy Klassen is your elected Member of the Legislative Assembly of Manitoba for the riding of Kewatinook (elected in 2016). Judy and her husband Jason have six children. She grew up in a remote fly-in Northern reserve and has spent over ten years working and living in an urban area and completing post-secondary education.